A white smile you can be proud of is more possible than ever! Bright Smile Dental and Orthodontic Center offers its patients the most effective and innovational method of teeth whitening by SiroLaser from Sirona. 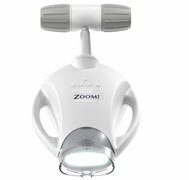 A special gel is painted onto your teeth and then a light is shone onto the gel to speed up the whitening reaction. During this procedure, a soft material is placed over your gums to protect them. The procedure involves no pain, and the result is phenomenal and most revolutionary is that the treatment does not decrease the sensitivity of teeth. If you would like to consult a dentist for laser whitening treatments, just call us and meet us to take care of your dental care needs. Book for a free consultation. Call us at 04-3449675 and book an appointment. 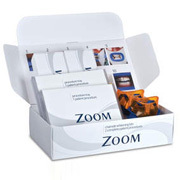 A professional whitening treatment such as the Zoom Whitening System is performed in our dental clinic, which is the most popular method for people wanting whiter teeth. Teeth Whitening Home Kits is an ideal solution for our busy patients. Bright Smile Center offers the latest whitening home kits which are safe to your gums and teeth.